Robert Boyle & Son, Ltd. 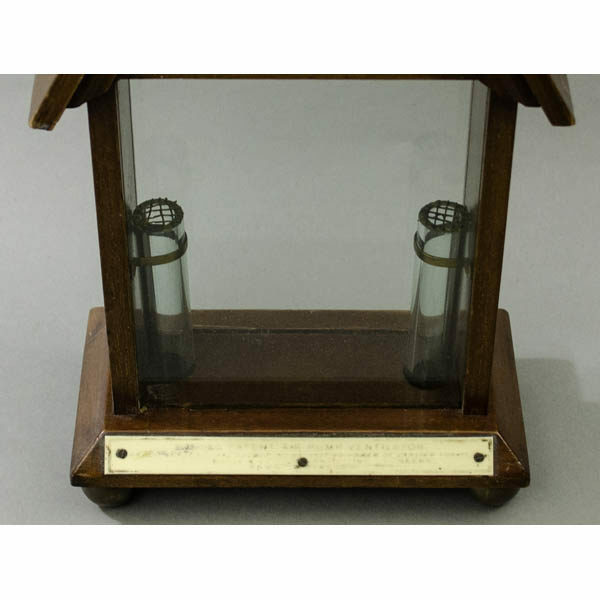 Unusual Victorian demonstration model of a ventilator for circulating air in buildings. This miniature device was probably a salesman’s sample for demonstrating the product to architects and builders. 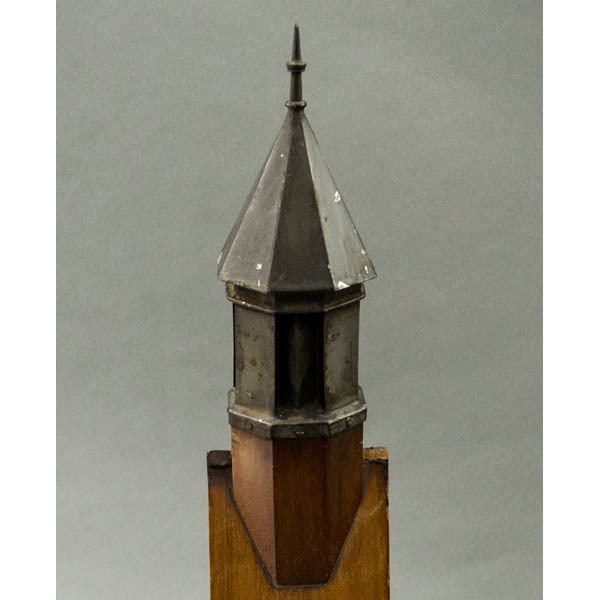 It is architectural in form, made of mahogany, having a pitched roof surmounted by a spire-shaped metal ventilator allowing the influx of air. Below the roof is an attic, represented as a glass-walled triangular area. The attic is above a glass-walled rectangular box representing the enclosed building. The model rests on a plinth base representing the floor, ending in brass bun feet. Airflow is demonstrated by the rise of a small cloth ball in each of three glass tubes in the model. There is one glass tube in the center of the attic just below the ventilator, and two other glass tubes set respectively on the left and right side of the base (representing the floor). Each of the three clear tubes is above an air inlet. The balls rise — showing the effectiveness of the device for ventilation — when air is blown in the inlets in the metal ventilator on the top. This simulates the flow of air outside and the draft (British spelling: draught) of air drawn through the ventilator. The glass tube in the attic is continuous from floor of the attic to the ventilator, to show the air conducting through the attic and ventilator to the outside. The glass tubes in the building are about half its height showing the air flowing into the building for ventilation. An ivorine label screwed to the front of the base promotes it as the “Boyles Patent Air Pump Ventilator Latest Patent (has double the extracting power of earlier models).” Although the device was called an “air pump” that arguably is a a bit of a misnomer insofar as it used the passive power of air drafts rather than a mechanical pump. Robert Boyle (1821-1878) and his son, also named Robert (born c. 1850), invented the air pump ventilator in the 1870s, advertising it as a “natural” means of circulating air in buildings. In other words, it was a passive rather than mechanical system taking advantage of the physics of air pressure while being “entirely free from down-draught.” Wind blowing through the rooftop ventilator would lower the pressure of air at the top of the ventilation shaft, causing air to flow upward through the building via air inlets at the lower levels. The ad stated that the “weatherproof and noiseless” ventilator thus “effectually extracts the Foul Air” from the building. Robert Boyle, Sr., was a Scottish inventor in Glasgow. Among his achievements were co-founding an Industrial Museum in Glasgow, and the invention of devices for preventing theft from mailboxes and a substitute of India ink. Nonetheless, his only invention that proved commercially successful was the air pump ventilator, which he developed with his son, Robert Boyle, Jr., who marketed it and established branches of the company in London, Paris and New York after his father’s death in 1878. 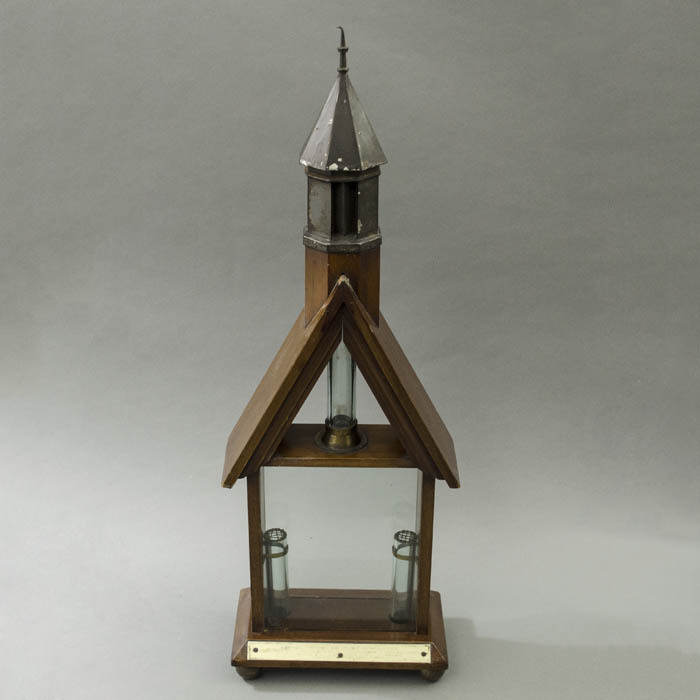 The Robert Boyle & Son ventilator was featured in The Builder magazine in 1880 and won the grand prize at the London International Medical & Sanitary Exhibition of 1881. 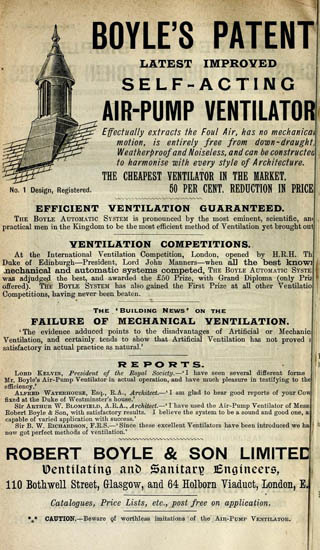 The last known publication by Robert Boyle, Jr. is The Ventilation of Public Buildings in 1923, in which he promoted the device as superior to mechanical ventilation in terms of cost-effectiveness, efficiency and air quality, and cited endorsements by “various Royal Commissions,” the Houses of Parliament, and eminent scientists including Lord Kelvin, who was President of the Royal Society. Indeed, Lord Kelvin’s endorsement appeared on the company’s ads, including this one from 1894: “I have seen several different forms of Mr. Boyle’s Air-Pump Ventilator in actual operation, and I have much pleasure in testifying to their efficiency.” Robert Boyle & Son ventilators can still be found on top of numerous late 19th and early 20th century British buildings, even if they are no longer in active use. Illustration shown above (not included with sale of item): Advertisement for Robert Boyle & Son in the 1894-95 Edinburgh and Leith Post Office Directory (from Archive.org, see References below). 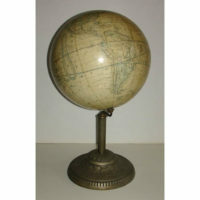 Condition: Generally very good with the usual overall light wear, shrinkage to wood, oxidation to metals. Ventilator mechanism in working condition (a cloth ball rises in each of the three tubes when air is blown in through metal ventilator). Cloth balls darkish grey in color. Ivorine label on base with wear to black coloring of letters, making it difficult to read. Post-Office Edinburgh & Leith Directory 1894-95. Edinburgh: Morrison and Gibb, 1894. Online at Archive.org: http://archive.org/stream/postofficeedinbu189495edin#page/n9/mode/2up/search/boyle (3 May 2012). “Re: Boyle’s Air-Pump Ventilator.” Kent History Forum. 29 October 2010 – 6 April 2012. http://www.kenthistoryforum.co.uk/index.php?topic=7983.0 (3 May 2012). Roberts, Brian. “The Boyle System of Ventilation.” Chartered Institution of Building Services Engineers, Heritage Group. http://www.hevac-heritage.org/electronic_books/robert_boyle/1-introduction-1.pdf (3 May 2012).